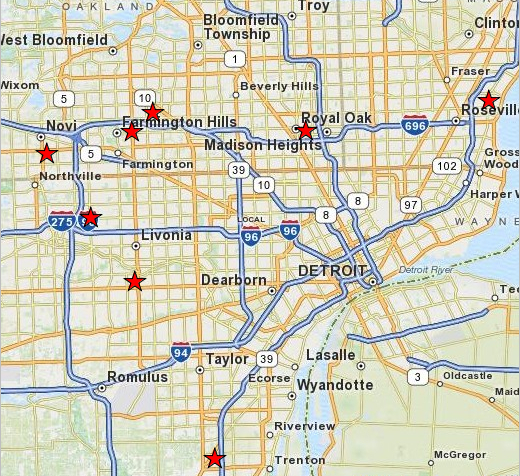 Offices located throughout Metro Detroit at community and church settings. Archway counseling sites are indicated by the red stars on this map. Place your cursor on a star to see the location, or click a star to get a detailed map and specific directions to the site.